How to pay for a project like this is not without interest. Over the years I, and certainly also Anders, have got many requests to help start interesting and often smaller projects than building an East Indiaman and sailing it to China and back. All these enthusiasts also don't take 'no' for an answer so let me put it like this. Almost anything is possible but it is not easy and it takes a kind of dedication that is almost not healthy, and it is only those who live to tell the story that you'll ever hear off. Those who don't make it is the kind of people you find deep frozen into glaziers and such. You know the kind. To prepare the ground, set up the organization and feed your family in the meantime some money were needed to begin with. At this time Anders celebrated his 50th birthday and asked all friends to direct their possible gifts toward a "50th year birthday fund" from which some seed money could be drawn. The last years of the excavation period had been used to promote the idea of building a replica and to prepare the ground for it. Now was the time to ask all to contribute towards this purpose, and they did. This was the beginning. When you are invited to join a project or get hired for that matter, you bring your entire background, expertise and network with you. That went for all of us who made up the Management Group and is a given in any project, but what set this project apart from anything else and that we could not have made without, was the goodwill capital that Anders and Berit brought into the building project from the preceding excavations! It was this Goodwill capital and our own entertaining 'talk shows', that was the only thing we could capitalize on all the way until the hull was actually starting to look like it could become a ship. Money would also come from the Friends of the East Indiaman Gotheborg Organization, from thousands of sponsors and sponsoring companies and from volunteers who was likely to want to help out for free. All based on the goodwill and popularity of the previous excavation and exhibition activities. The first step would be to find the needed specialists and with them create an organization that would be solid enough to make this happen. The logic is inevitable in a project like this. 'Do you think we can make it, then, can you wait for the pay until this works? If you don't think we can make it, then what are you doing in this group?' This was pretty much it. The financial security would be none. The obstacles innumerable. The reward questionable. The chances of great adventures almost certain. The success only depending on ourselves. In 1993 we had hoped that the members of the foundation we had set up, thanks to their good names and large networks to the Swedish Business giants of export trade and the Regional Community at large, would find the necessary funds, and that we could more or less just could get going. Now, it did not work out that way. Between 1992 and 1998 we created this project from the ground up without being hired by anyone to do so. Still people somehow think this must have been a government sponsored project or at least that the city of Gothenburg initiated it, but no. It was and is twenty years later completely private and still in the hands of a foundation based on the one we created. After the initial ground work we rented a part of the now useless former Eriksberg shipyard wasteland for 100 SEK per year for the span of the project time and got going. There were a whole lot of things that needed to be funded and we eventually found a way of supporting anything that was absolutely needed. The probability of getting any support was pretty much the same list, but starting at the bottom and going upwards. You could also sort this list after Community, Corporate and Private, and after Land/Shipyard phase and Water phase and it will be clear that the funding possibilities were numerous but needed some thinking. Basically a value based product would be needed to be defined, explained and sold to each and every one of these groups. To explain this I called it our Sunflower Model. If you think of the project as a flower with any number of petals, each sponsor could have one or several petals each, and you could stretch the project's value so that everyone could have a larger share than if you were thinking of it as pieces cut out of a pie. Culture, history, trade, media, education, rehabilitation, recreation, sustainability, environment, food and research etc. could easily overlap and even strengthen each other. The 18th century Swedish East India Company had been a significant part of the society in the past and I was happy to expand on how almost anyone could related to this project and benefit from associating with it. From the outset we had decided that a large number of objectives would benefit from our ship project. By explaining the individual value to each and every group and sponsor - how specifically they would benefit from an association - we could enlarge the values of the project to much more than if you were thinking of it as pieces cut out of a pie. 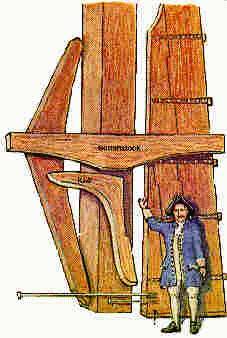 Based on this model we could tell anyone interested in for example ancient sail making or astronomical navigation, ship's medicine or wood carvings or people that just like wooden boats or sailing, that the project was aimed at exactly giving them a ship to play with. It was also possible for the City of Gothenburg, that had already in 1986 had signed a friendship/sister city agreement with the City of Shanghai, to say that this project was created as an official effort to symbolically connect our two ports. The Swedish government could also say that this was an official effort on a national level. This was of course not entirely correct, or actually, it was wrong. It was entirely private and not officially sponsored at all, but it was definitely part of what we wanted it to become. If we look at the fundamentals, the shipyard plot was pretty much sponsored by Eriksbergs Förvaltnings AB, the entity set up to develop the area at large where Bengt Tengroth and Bo Alfredsson had a large say. Both signed up on the project as Chairman of the SOIC AB as well as our CEO respectively. Communications was sponsored by Telia. GP donated as much advertising space that we needed. The best advertising agency Forsman and Bodenfors worked for us at no cost through an agreement via GP. The office building modules was sponsored by Skanska, a large building contractor that had already been involved during the excavation period. They just lent the things to us. The main workshop was paid for by a 'government cultural department' grant asked for by our grand old man, CEO Erik Wettergren. The shipyard hall with its beams was donated by the Gothenburg Harbor while we paid in cash for the roofing. Nothing of this however went towards us who were running this project or the actual building of the ship. Looking at the work force this could be divided in paid and volunteered. The big divide here was that most everybody involved in the building of the ship had a monthly salary through our agreement with Länsarbetsnämnden, while those creating and managing the project had not. Second major income in the beginning of the project was events and guided tours on the shipyard area, that kept Anders alive, and generated sponsorship from all kinds of small and medium sized companies, that mostly supported with products and a cash corporate membership in the Friends organization. We expected this to become more important as the ship grew. The valuable spin off of these 'events and guided tours' came as a third income stream that was a surprisingly profitable. That was the 'selling' of parts of the ship. This drawing was as usually fast and nicely painted by Lars Gillis, our project's artists, to illustrate the available ship's components. The person standing next to the parts is supposedly Bo Alfredson, our CEO. The drawing was made for the project newspaper I was writing, the Gotheborgs-Posten, in June 1996. I realize when I am looking at this picture now, I know where all this stuff goes in an 18th century ship. This work was run by me and Bo Alfredsson under his term as CEO. He was quite successful in selling large parts such as entire ribs while orders of 'nails' often came in at the time of sponsor's events. The idea was simple and based on a price list for each and every part of the hull that Bo had worked out a price tag for, from 200 SEK for one hand made iron ship's nail up to several hundred thousands for the ribs or the rudder. The original plan was not more complicated then to ask anybody who saw a value for themselves in the project to support it - short term or long term - and then let the project grow with this as a foundation. At a presentation for the ministry of foreign affairs around the time of Swedish Prime Minister Göran Persson's visit to China the 2-4 November 1996, I called this our "vortex model" of sponsorship. The model was created by Anders just doing it already during the excavation period, and drawn out by me and Bo Alfredsson in theory and practice. It is very simple but enormously labor intensive and time consuming, but works well in any company or long term project that can grow organically. The principle is very simple. It begins with establishing a core - a project - you want to have funded. In Anders case this begun during the excavations (1) and the events that could be arranged around those, including visits, events, lectures and souvenirs. Then you establish a small - any size - of relation where the sponsor does anything in favor of the project. He does something and you deliver something. It can be as simple as signing up as a member or paying an entrance fee. From your point of view this is a first commitment and now it is just up to you to make this grow. Now you just continue to build your project and stay in contact with the "sponsor". The financial commitment could be low. During the Terra Nova phase a nail certificate was ideal. It worked also as a gift and a poster, since it was framed. A corporate event at the shipyard was also a good start. It was a price worthy corporate event, fun, exciting and cultural at the same time and could be repeated year after year. If you manage to stay relevant and keep the sponsor happy, he would become a returning customer (2). As the project grows, he might want to commit to a larger contribution (3-4) as he sees that the goodwill delivered and the possibly future business advantages increases. Eventually a number of companies would sign up as mayor partners and eventually follow us to China. (5). 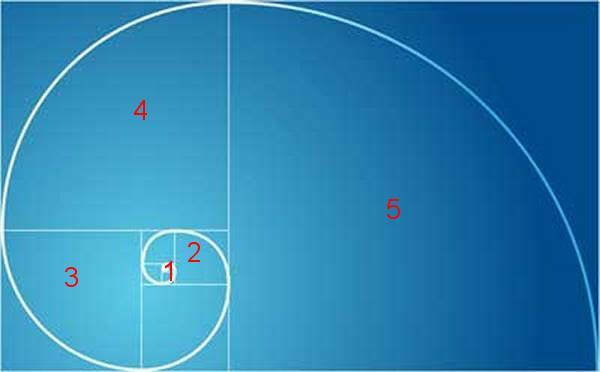 The Fibonacci series of number is a series where the following number is the sum of the two previous. It is also called the golden rule since it is harmonious and a lot of things in nature seems to be following it. When shown as a spiral it looks like the shell of a snail. The model also looks like the shell of a snail and this is not entirely wrong in that this takes time. In our case Anders' relation with the sponsors had begun with the excavation in 1983. The Gotheborg excavations eventually grew to an institution. It was something ongoing you could trust every summer. You could bring your friends, staff and customers out to the excavations every summer for eight years to listen to the exciting progress and see the new finds. The goodwill from these eight years was brought into the new reconstruction project as a massive goodwill capital that was an invaluable asset to found the new project on. The interest and commitments grew. The hull already had all the ribs in place and we could count 130 sponsoring companies on levels from 2-4 and one, the local newspaper Göteborgs Posten, since a few years already signed up at one million SEK per year. In 1998 we had around eight large companies lined up now ready to sign the real sponsorship contracts that we needed to start with the rigging, sails and fitting out of the hull.